Photo by Jake Przytarski Marshall’s Kayla Polejewski gets ready to throw to first during their game against Hutchinson on Tuesday. Marshall fell to Hutchinson 7-4. 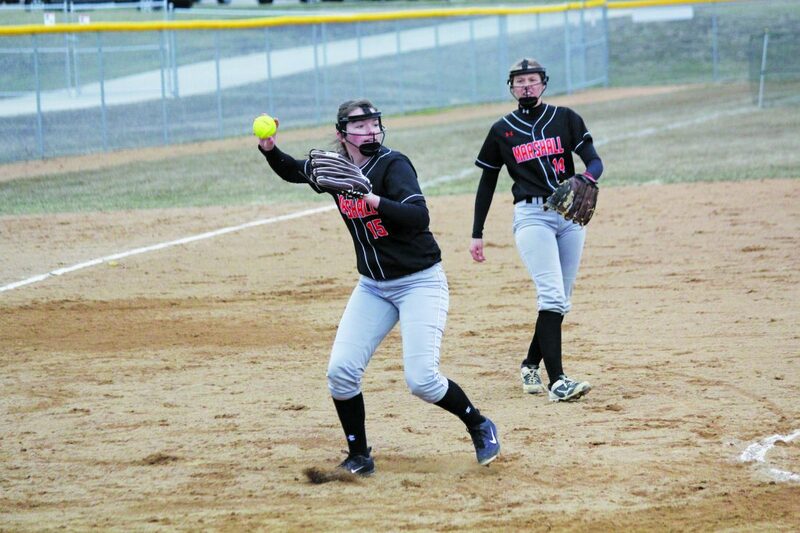 MARSHALL – The Marshall softball team battled to the very end in its opening game against Hutchinson and nearly came all the way back from a four-run deficit accumulated in the first four innings. In the end, a late offensive surge was not enough, as Hutchinson escaped with a 7-4 win on the road. Though the result wasn’t the one they were looking for, Marshall coach Jack Houseman identified multiple positive trends from the team’s performance, in addition to some areas of their game in need of improvement. Marshall opened up the game with a pair of strong opening frames in the field and on the mound from Madison Wegner to keep Hutchinson off the board through two. 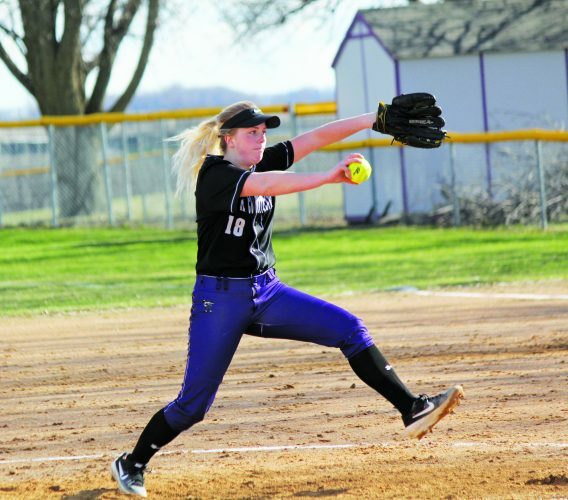 Equal to the task, Hutchinson’s starting pitcher Courtney Huira followed suit and would end up holding the Tigers to zero hits all the way into the fifth inning. By then, Hutchinson had found its rhythm in the batter’s box to bring three runners across in the third inning and another in the fourth to take a 4-0 lead through four. Undeterred, Marshall remained patient at the plate and was rewarded in the bottom of the fifth inning with the team’s first hit by Jamie Timmerman and another by Taylor Ariasola with an RBI double to put a run on the board and breathe new life into the dugout. Houseman believes the offensive rally that began in the fourth and continued in the fifth came as a result of sitting back instead of getting out in front of pitches in the earlier innings. Staring down a 6-1 deficit in the bottom of the sixth after Hutchinson added two more runs in the top half of the inning, Marshall picked up where it left off in the fifth to come alive at the plate once more. Lenei Estrada kicked things off with an infield single and would later be waved home with Timmerman thanks to a two RBI single by Abby Wendorff to make it 6-3. Marshall would add one more run via an RBI single by Kayla Polejewski to make it 6-4 before the third out was tallied to end the frame. Polejewski, who had taken over on the mound to begin the fourth inning, continued to impress in the bottom of the seventh with her fifth and sixth strikeouts of the game. Unfortunately, a pair of fielding errors proved costly in the end as Hutchinson scored its seventh run of the ballgame in a 7-4 final. Next up for the Marshall Tigers is a Thursday road matchup with the New Ulm Eagles at 5:30 p.m. 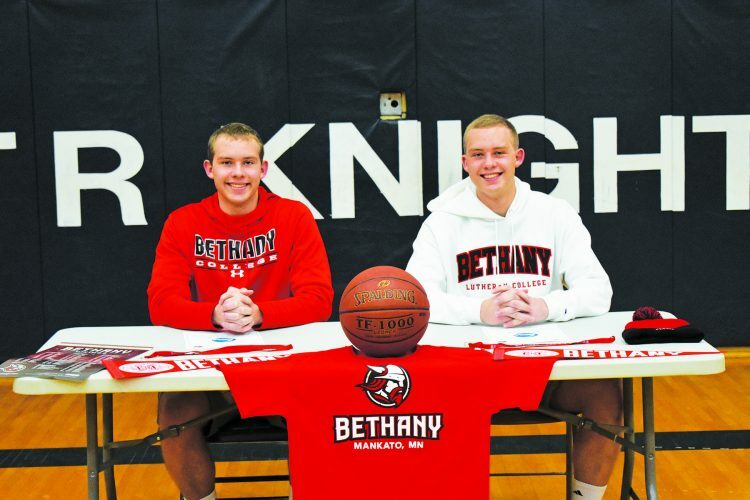 Looking ahead, Houseman will be putting an emphasis on cleaning up the little things that ended up looming large in Tuesday night’s contest.